His customized presentations teach achievers to make stunning advances in their lives. 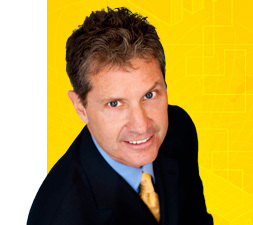 From helping salespeople realize cherished dreams to helping corporations exponentially accelerate revenue streams, George Ludwig leaves audiences and individuals empowered, emboldened, and clamoring for more. George is the best-selling author of Power Selling: Seven Strategies for Cracking the Sales Code and Wise Moves: 60 Quick Tips to Improve Your Position in Life & Business. He’s also a columnist and frequent contributor to Entrepreneur magazine, Investor’s Business Daily, Selling Power, and numerous business radio programs. Having gained a reputation as a thought leader in his industry, he is frequently interviewed for trade publications and newspapers. Click here for a list of some of the many media outlets that have featured him and his message.